See below for today's new Oakhurst homes for sale & Atlanta GA neighborhoods. 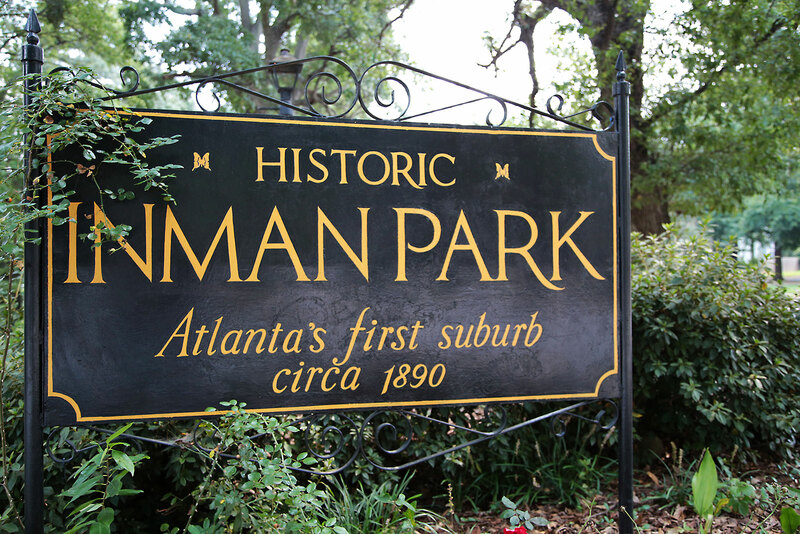 Young families, upon beginning their search for the perfect place to settle in the Atlanta area, invariably become captivated with Oakhurst, the quiet, historic neighborhood that lies just to the southwest of its big sister, Decatur. To request current information on Oakhurst properties for sale in Atlanta or to set up a private tour, contact your Oakhurst real estate professionals today! Plan to buy or sell a home near Oakhurst? Contact The Keen Team for expert guidance through the Oakhurst, Atlanta real estate market from your neighborhood real estate agents. Call (404) 270-9374 now! Just outside of trendy downtown Decatur, Oakhurst boasts quiet, walkable streets peppered with impeccably restored, historic homes. 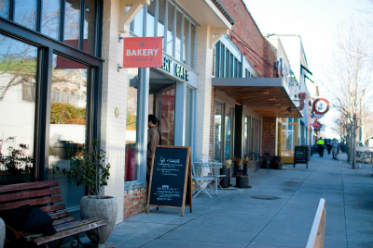 Oakhurst Village, located at the heart of this tiny community, blends a palpable sense of cozy Americana with just enough of a youthful flair (Agnes Scott College is just down the street) to keep the 20-plus small business—including friendly watering holes and casually swank boutiques—hopping on the weekends. The tree-lined avenues in this tranquil part of town are no different: a block’s walk in any direction yields a vision of a Southern neighborhood straight from a Hollywood set, and the inhabitants of the homes that line these streets are famous for their hospitality (don’t be surprised if you’re invited onto the front porch for a cocktail around sunset). Proximity, too, is held at a premium in Oakhurst. The East Lake MARTA station is within a few minutes’ walk from any part of the neighborhood, and with an adjacency to the Ponce Corridor, access to the big city and the interstates is deceptively straightforward. Oakhurst is located just south of the Ponce Corridor, with its northern border along the much-quieter College Avenue. It’s about six miles to the east of Atlanta’s center, and a couple of miles due west of I-285. At only about one square mile, the neighborhood is small, but with a location directly southwest of Decatur, it affords access to the same amenities, schools, and public services as its neighbor. Even though it’s technically a separate neighborhood, a lot of people will refer to Oakhurst as Decatur, just as some people from Decatur will say they live in Atlanta. So when you’re here, just go with the vernacular—people will know what you’re talking about. 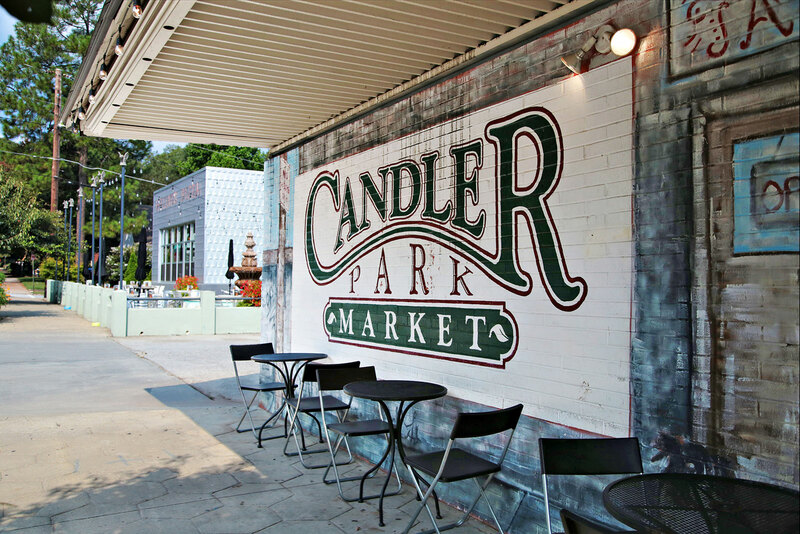 It can get a little busy in Oakhurst Village on the weekends, as this quiet nook of town is popular with people from all over Atlanta. If you want to sample this area of town in its true, tranquil splendor, stop by on a Tuesday or Wednesday, when it’s only the locals. If Oakhurst is a place you’d like to settle, do a little house hunting on foot. This neighborhood is famous for its "infill" new construction homes which offer maximized floor plans on relatively small footprints for the maximum in versatility. Oakhurst shares zoning with many of Decatur’s exceptional schools, and for many a family whose moved to this neighborhood, that element has been a factor in their decision to live here, all by itself. Here’s a list of Oakhurst’s schools, from pre-school to post-grad. College Avenue, on the north end of Oakhurst, is a convenient access point to the Ponce Corridor, which Memorial Drive, to the south, give another alternative for ingress and egress. Traffic can be a little thick on these main arteries during peak hours, but with some clever foresight, residents of Oakhurst have come to rely on a few quieter back roads to get in and out. The I-75/I-85 Connector is located about 6 miles to the west of Oakhurst, while I-285 lies about 2 miles to the east. The East Lake MARTA station is located to the northwest of Oakhurst. Much of the neighborhood is located close to this station, so it’s not too uncommon to meet residents who rely on the train to get to the center of town, for work or play. This newly established event takes Oakhurst’s trademark “front porch pride” to the next level, transforming these Southern mainstays into mini music venues for folks from the neighborhood, and visitors alike. Held each March, this event allows visitors to pay one price, and attend wine tastings held at a variety of Oakhurst business. This historic building is used as a venue and community center nowadays, but for a sprawling example of classic Southern architecture, give it a stroll by, at least. If you're purchasing a home in Oakhurst, allow our team of Atlanta real estate professionals to help you buy your new Oakhurst house, or sell your current residence. As local real estate agents, we're experts on the market dynamics unique to Oakhurst real estate. Contact The Keen Team to learn more about buyer or seller representation in Oakhurst. Interested in selling your Atlanta property? Head to our CMA page for a free Oakhurst home value analysis within minutes!